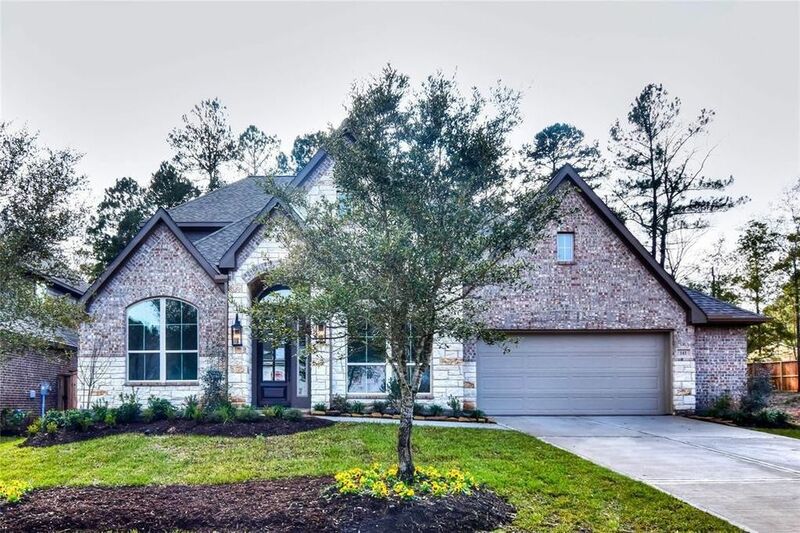 This beautiful 11/2-story, single family home features an elegant oval entry with wood flooring and 13' ceilings that open to the large formal study. The extended entry with a 12' ceiling is flanked by the dining room on one side and kitchen with wood flooring on the opposite side. The kitchen is central to the home and open to the dining room, breakfast room, and family room. It features a large island, granite countertops, 42 grey painted cabinets, and 12' ceilings. The family room features a 14' coffered ceiling with wood beams, fireplace, and large wall of windows that gives a wonderful view of the covered patio. Master bath includes a 6' garden tub, separate shower, and His and Hers vanities. Located upstairs is a large 16'x16' game room, media room, and 1/2 bath. OVERSIZED 3.5 CAR GARAGE! !